The flying car is just one of a group of futuristic technologies that are like science’s White Whales—along with jetpacks and a machine that can record our dreams (just me?). Plenty of startups have tested their own versions and now, one major company says that future will be here sooner than you think. 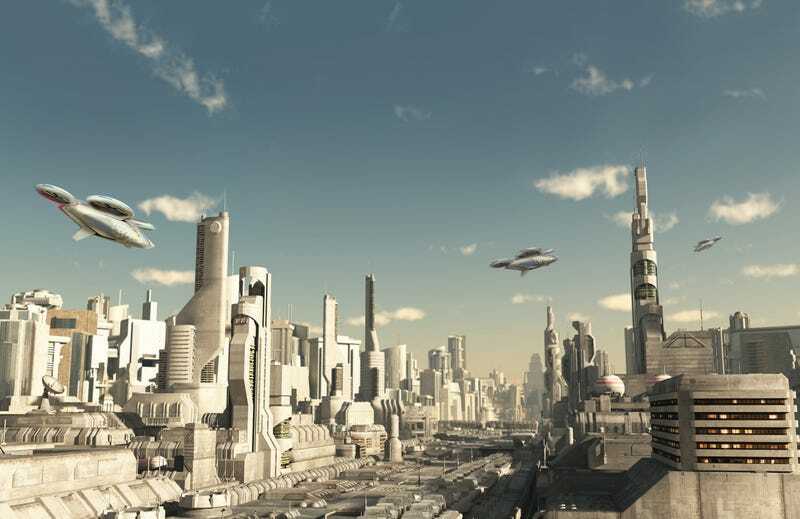 According to an article published in Airbus Group’s corporate magazine, we could soon be seeing those flying cars that we’ve been promised since the earlier parts of the 20th century. It sounds too good to be true. Many major cities don’t allow drones to just fly around. Airbus’ solution seems to be to make deals with local governments to test programs first. This is the case with the Skyways project, where the AIrbus Helicopters have teamed up with the Civil Aviation Authority of Singapore that’ll allow the branch to test a drone parcel delivery service on the National University of Singapore campus by mid-2017. With the Skyways project, the drone will carry containers picked up at through defined “aerial corridors” across the campus, dropping packages at parcel stations where people can go pick them up. In the event that this stage of testing is successful, the company will test delivering packages from parcel towers to ships in the Port of Singapore. More interestingly, Airbus says that it’s all “feasible,” with most plans being kept under wraps. The article states that those in charge aren’t detailing the plans further, but that it’s an unexplored field of study. It’s definitely something to keep an eye on, especially as it competes with any flying car startups. However, there are still some roadblocks, if you will, to consider. The technology for flying, autonomous vehicles isn’t quite there yet, which Airbus admits. Also, as we’ve seen from autonomous vehicles that haven’t left the ground, the technology to have self-driving cars is still trying to keep up with expectations. “Many of the technologies needed, such as batteries, motors and avionics are most of the way there,” A3 project executive Rodin Lyasoff said. Airbus’ plans are lofty. It might be able to test out something in Silicon Valley, where it’s based, but I can’t see flying taxis becoming a thing in major hubs such as New York City without years of debate and many pieces of legislation. It suggests the existence of its plans in an industry that hasn’t been fully deployed will help it, literally, get off the ground. “We believe that global demand for this category of aircraft can support fleets of millions of vehicles worldwide,” said Lyasoff. You can read more on the company’s plans below. Is This the Autonomous Flying Taxi of Our Dreams?